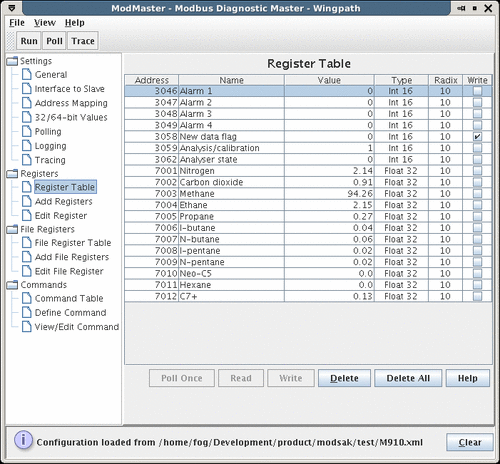 ModMaster is a diagnostic program that operates as a Modbus master or client. It provides all the features of Modsak's master mode, but at a lower price. The user can send individual requests to a Modbus slave, and ModMaster can also continually continually poll (send read and write requests to) the slave. Supports broadcast requests (slave ID 0). You can download the complete version of ModMaster for a free 3-day evaluation period.